This second edition of Dietary Supplements & Functional Foods has been fully revised and expanded. 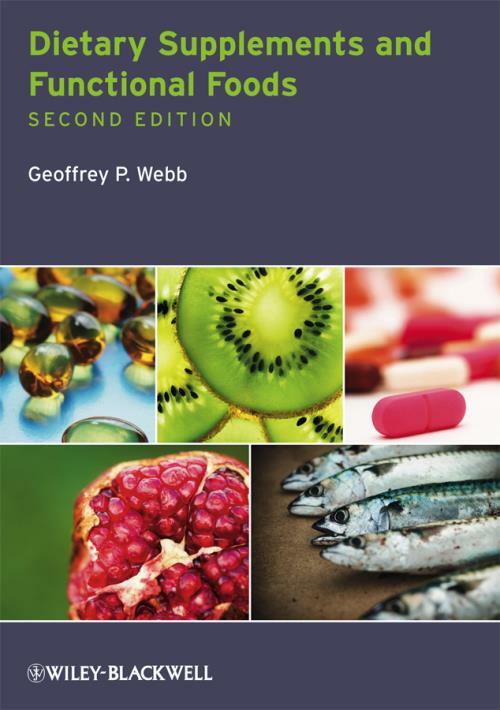 The book looks at the accepted uses of dietary supplements and also explores the wider picture, identifying common themes and principles or particular categories of supplements. Much new information across the whole spectrum of this fascinating and expanding field is included, with additional material covering changes in relevant legislation, examples of superfoods, up–to–date information and informed debate concerning vitamin D, folic acid, fish oils and antioxidants Several new sections have been added to this successful and well–received book. This book is now even more user–friendly and ideal for course use, and an invaluable reference for those working in the health sciences, and the supplements industry. Dietitians, nutritionists, food scientists and food technologists will all find much of great use and value within its covers. All universities and research establishments where these subjects are studied and taught should have copies of this excellent new edition on their shelves.